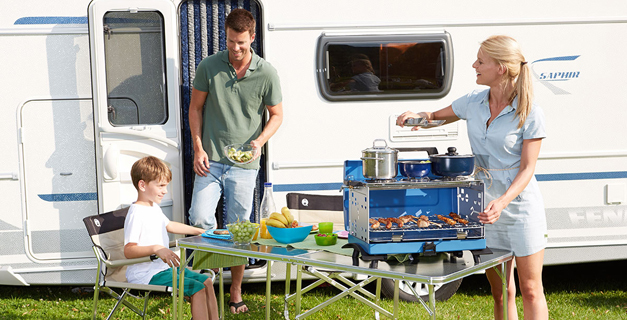 The essential camping companion with endless cooking options! Why not prepare an English breakfast with beans, sausages and toast? Or perhaps grill some fresh fish whilst cooking some pasta? Stoves with Multi-cooking options offers the widest range of cooking options (stove top, grill, griddle, plancha, wok or roast - depending on the product). Heat radiation from top ensures oils and juices drip off meat without the risk of flare ups. All the components can be stored inside the stove, making it easy to carry and transport. The legs are easy to assemble/disassemble and easy to store with the stove.